You'll explore the less-touristy side of things at Trinity Beach and Balloon Rides. Take a break from the city and head to Nature & Wildlife Tours and Scuba & Snorkeling. Get out of town with these interesting Cairns side-trips: Palm Cove (Spas & Wellness, Kayaking & Canoeing, & more). Next up on the itinerary: take in nature's colorful creations at Botanical Gardens, appreciate the history behind Cairns Cenotaph, look for all kinds of wild species at Atherton Tablelands, and look for gifts at Australian Leather Company. To find reviews, traveler tips, more things to do, and other tourist information, read Cairns road trip website . Berlin, Germany to Cairns is an approximately 24-hour flight. You can also do a combination of train and flight. Due to the time zone difference, you'll lose 9 hours traveling from Berlin to Cairns. In June in Cairns, expect temperatures between 30°C during the day and 22°C at night. 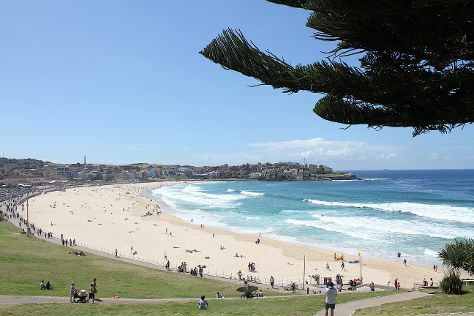 Finish up your sightseeing early on the 1st (Mon) so you can travel to Sydney. Discover out-of-the-way places like Jenolan Caves and Wentworth Falls. Get some historical perspective at The Rocks and St. Mary's Cathedral. Get out of town with these interesting Sydney side-trips: Katoomba (Blue Mountains, Echo Point Lookout, & more), Bilpin Cider Company (in Bilpin) and Cathedral of Ferns Walk (in Mt Wilson). Spend the 12th (Fri) exploring nature at Sydney Harbour National Park. Next up on the itinerary: admire the landmark architecture of Sydney Opera House, tour the pleasant surroundings at The National Pass, wander the streets of Darling Harbour, and take in the views from Sydney Harbour Bridge. To see other places to visit, traveler tips, and more tourist information, use the Sydney journey planner . Traveling by flight from Cairns to Sydney takes 6 hours. Alternatively, you can drive; or take a train. In July, Sydney is slightly colder than Cairns - with highs of 21°C and lows of 9°C. Wrap up your sightseeing on the 12th (Fri) early enough to travel back home.